NeuLion acquired Saffron Digital, a leading provider of next-generation entertainment digital OTT services. This business move instantaneously creates an online video powerhouse for OTT delivery of live sports, movie, and TV content globally. The Sports Techie community blog is happy to share news about the business transaction that creates an online video powerhouse perfectly positioned to take full advantage of accelerating adoption of live and on-demand streaming. Whether you are viewing the live broadcast of the UEFA Euro 2016 tournament in France or streaming archived sports events, movies and TV shows, NeuLion and Saffron Digital have your complete OTT service needs ready to implement and monetize. The Transaction Creates Online Video Powerhouse Perfectly Positioned to Take Full Advantage of Accelerating Adoption of Live and On-Demand Streaming. NeuLion, Inc. (TSX: NLN), a leading technology product and service provider specializing in the broadcasting, distribution and monetization of live and on-demand digital video content to Internet-enabled devices, today announced that it had acquired Saffron Digital Limited, a privately held company headquartered in London, England, in an all-cash asset transaction. Saffron Digital helps its customers build multi-platform digital video services for entertainment delivered over-the-top to internet connected devices. Saffron Digital has been working with Hollywood studios and other entertainment content owners for the last ten years, gaining extensive industry expertise and experience in developing and delivering high profile, global premium OTT VOD digital services. The Saffron Digital platform supports advanced implementations of subscription video on demand, electronic sell through and advertising supported video on demand. Each of these business models are major requirements for owners and rights holders of entertainment content interested in rolling out new OTT digital services. This extensive industry knowledge of best-in-class digital entertainment services, offered in combination with the NeuLion’s market leading experience in delivering live TV channels and live sports, offers owners and rights holders of sports, entertainment, movies and TV channels, a market leading platform, all from one company. 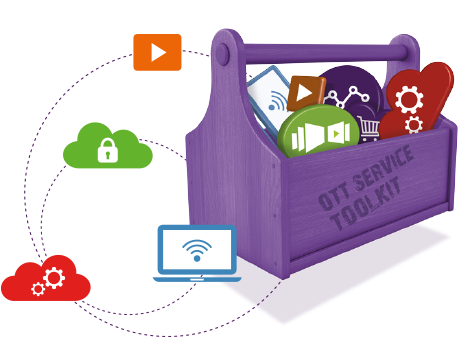 The surging OTT services market is reaching a hyper competitive level trying to attract and retain subscribers; often it is compelling technology that drives consumers to try new platforms. International, domestic, regional, and local, owners and rights holders of content require a proven platform that will offer fans a wide selection of live and on demand sports content choices. With the Saffron Digital deal, NeuLion’s technology platform now supports movies, live channels, and live sports. They have EST, SVOsolD, AVOD and mid roll advertising monetization support. Plus, Ultraviolet for studios and the evolving VIDITY standard for 4K movie ownership. It’s a one stop shop for owners and rights holders of content interested in a “better, best” OTT solution. Saffron Digital helps its customers build multi-platform digital video services for entertainment delivered over-the-top to internet connected devices. Sports Techie, The UEFA Euro 2016 tournament begins tomorrow and many fans around the world and in France will use digital devices to stream the live event using OTT services provided by NeuLion and their newest acquisition, Saffron Digital. Providing live or archived NBA Finals, NCAA Track Championships or Formula E action and highlights, as BT does with the support of Saffron Digital, NeuLion users now have the ability too.